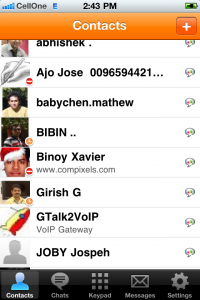 There are a lot of mobile instant messenger applications in the market. Out of them, Nimbuzz is one application that we personally use in our devices. Nimbuzz mobile supports a variety of IM services, including Google Talk, Yahoo Messenger, AIM, Orkut, Facebook, Windows Live, MobileMe, MySpace and Hyves. The advantage of Nimbuzz mobile is the if we can keep ourselves online all the time without installing separate IM applications for each service. Thereby we can reduce the memory footprint and data requirements in our mobile device. Nimbuzz is also a mobile VOIP application that let you make free calls to your Nimbuzz buddies and cheap international land line and mobile calls. 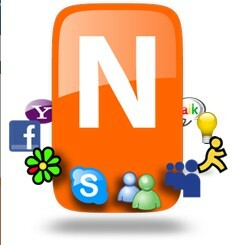 Nimbuzz messenger is available for multiple mobile operating systems, Windows and the Web. Nimbuzz currently supports Apple iOS( iPhone and iPod Touch), Android, Symbian. BlackBerry and Java based handsets. HTC, Nokia, LG and Samsung smartphones using these operating systems have full support for Nimbuzz mobile client. The Windows mobile version of the app was discontinued on June 2010, but you may get the download link from the internet. After installation Nimbuzz will ask you to create a free account. Open a new account and move to the settings, then Accounts. Here you can configure instant messenger and social networking services. Nimbuzz for iPhone 3G, 3G S, iPhone 4, iPod Touch download here. Nimbuzz Mobile for Nokia Symbian download here. Nimbuzz Mobile for BlackBerry download here. Download Nimbuzz mobile for Android using the following QR code. As an another option, users can download Nimbuzz messenger directly from their mobile device by going to get.nimbuzz.com. The support for Skype and Skype credit were removed in the latest version of Nimbuzz due to some issues with Skype Ltd. Still if you want you can make calls using the Nimbuzz out credits available for purchase at their official website. 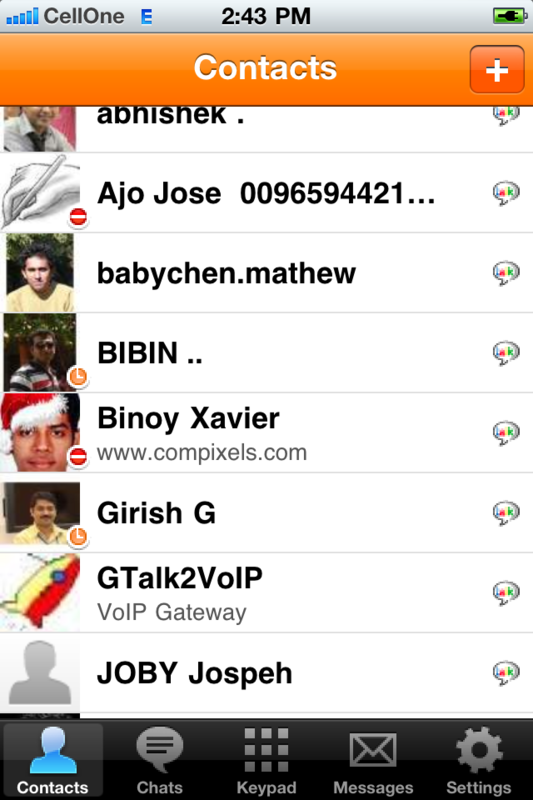 Nimbuzz also supports third party VOIP/SIP accounts for voice calls. You can configure them in the settings section. I think what you would be interested is the multiple connection Instant Messenger. I have this to share with all readers that I had just found this Friendplay Instant Messenger that comes with MSN, AIM, YM and GTalk connectivity. Try download it from , and intall it into your phone and stay connected with everyone….. ENJOY…..
Hi, I stay in U.A.E., here nibuzz site is blocked so how can i download nimbuzz instant messanger? I guess it is also same for N95, I have E90, It works for me. Disable software installation from “signed only” to “all” and online certificate check “off”. u can find settings under App. manager. Enjoy ! when downloading this nimbuzz, does it need that my password for yahoo messenger, skype and facebook will be the same? Hey guys….my cellphone is nokia 7210 supernova but whenever i installed nimbuzz it does not open from my cellphone and error msg comes as Session Timed Out..
Eu gostaria muito de estalar este programa no meu celular Nokia C3 00, este é o meu sonho se for atedido fico muito grato. The newly launched Fonwar IM is so RAD! It support various platforms, from the iPhone to Andriods and even the Blackberry! You can get it at for free. What’s more, points in the form of MGold$ can be accumulated to send free SMSes. Now that’s cool!